Hello, Sugar Pea LOVING peeps! 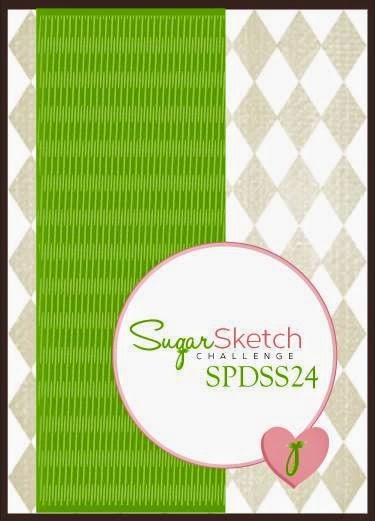 It's time for a new SugarSketch at SugarPea Designs! 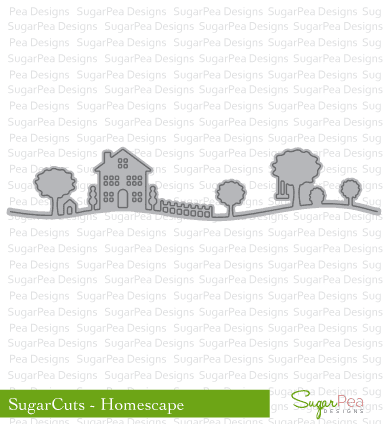 Check out these awesome SugarPea Designs stamps and SugarCuts that I used on my card today! 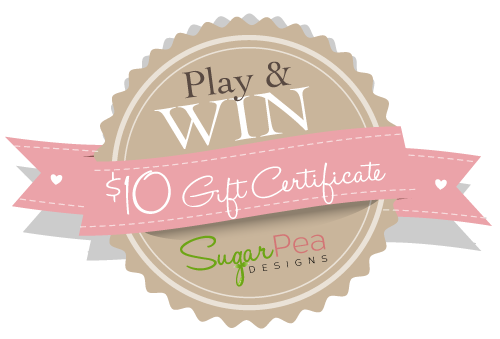 How about a chance to win some SugarPea Designs of your own?! Join us for this week's sketch challenge, it's that easy! Check out this week's sketch, SPDSS24...so versatile! 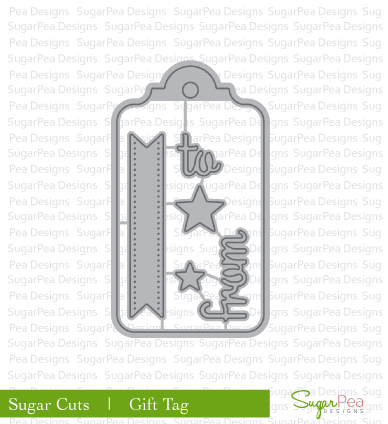 Play along with the sketch and use any stamp you like - but if you use SugarPea Designs, we'll top your voucher up to $15! Feel free to rotate/flip the sketch, or exchange any shapes for what works with your design, just make sure the sketch is recognizable! 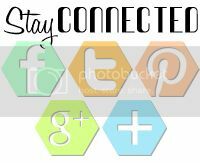 Upload to your blog or other online gallery using keyword: SPDSS24 so that we may check out your beautiful work. 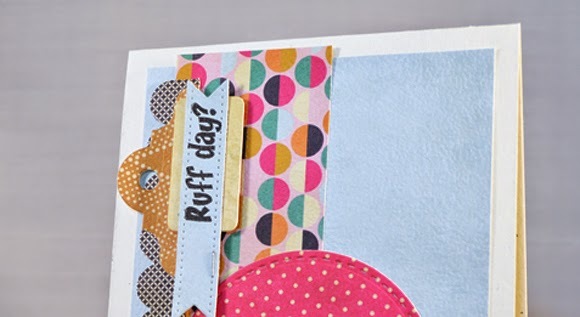 Here's a closeup of the tag using Hot Diggity Dog "Ruff Day?" sentiment and the banner and tag top from the SugarCuts - Gift Tag. 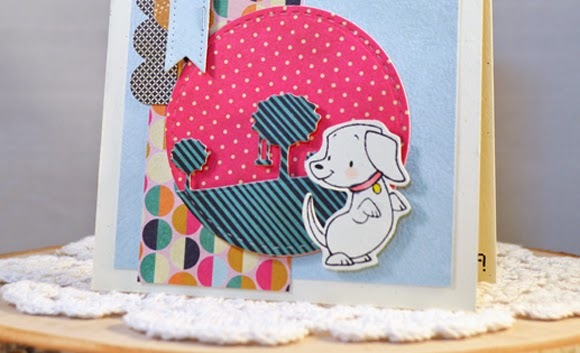 How adorable is this puppy dog from the Hot Diggity Dog stamp set?! I stamped and fussy-cut him out of cream card stock and colored in his collar and rosy cheeks. 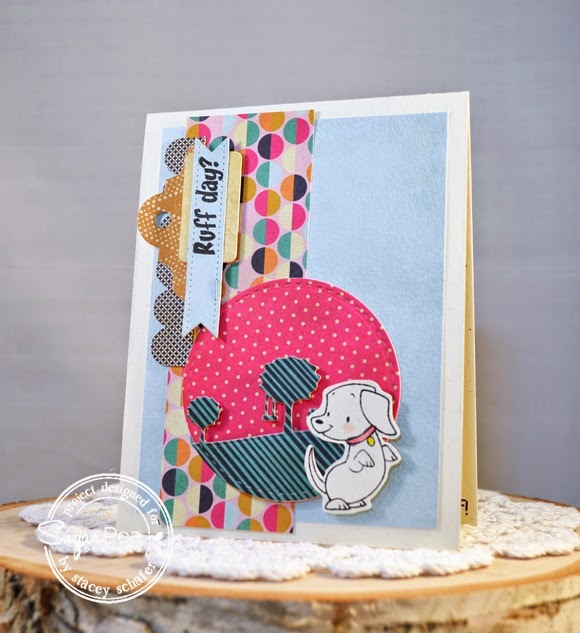 The dog was adhered over a circle panel that includes a peek of the SugarCuts - Homescape. Love love love how you worked the sketch with these awesome papers Stacey. Love the home scapes and that cute little puppy!! Stacey, this is simply adorable!